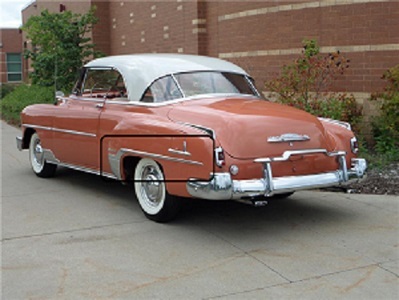 Listed here is the 2 piece Windshield for the 1949-1952 Chevy Styleline Sedan tinted Green. They fit either the 2 Dr or the 4 Dr Sedan and or the Sedan Delivery. 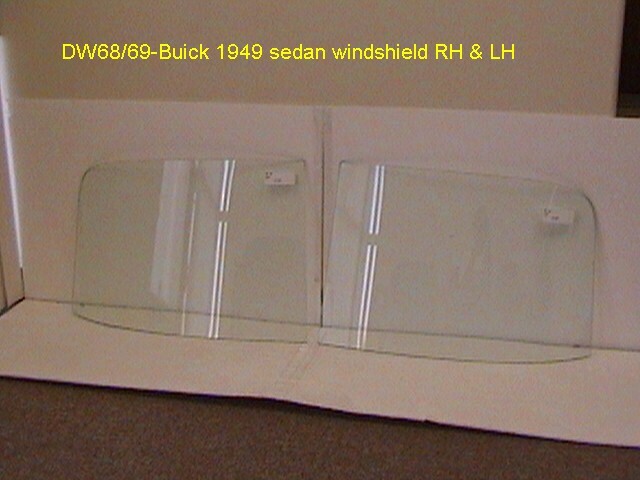 This windshield will also fit 1949-52 Pontiac Chieftain and the 1949-1950 Oldsmobile Tourback. The top picture shows what the 2 piece glass. 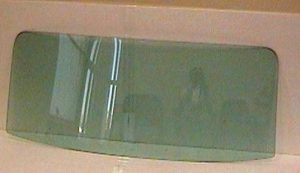 The picture below it is of a windshield for a different car but show a windshield Tinted Green. 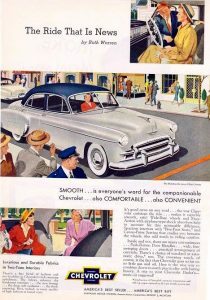 The Chevy models for the years 1949 through 1952 were the Styleine, Fleetline and the Belair. The Styleline is pictured below for clarity. I have included a third picture showing the difference between the clear, tinted and smoked glass for clarity. Green tint on the left, smoked glass in the middle and clear to your right.